Miresco’s role not only entails the traditional tasks of negotiating legal issues and drafting relevant provisions, we also provide an analysis relating to the effect various leasing strategies may have on specific financing and lender considerations. The current credit crisis and a potentially prolonged economic recession, have pushed an unprecedented amount of companies into financial turmoil. In response to this challenging environment, Miresco can assist a company in mitigating its leasehold liabilities, which can have a significant impact on a company’s financial position. We specialize in uncovering retail real estate opportunities for retailers. Our recommendations are based on specialized knowledge of real estate and retail trends. By leveraging our industry relationships and local market expertise, we have the ability to identify and secure prime retail real estate opportunities. Our tenant representation services begin with a comprehensive understanding of a client’s business and needs. Given the client’s objectives, our professionals then evaluate the local market and analyze trends and demographics, to identify the optimal properties. Our core approach focuses on aiding AA+ retail property owners who are struggling to meet their financial debt obligations for the property. Miresco offers these distressed owners an atypical opportunity to prevent from defaulting on their current loan covenants, by filling the vacant space, thus generating cash flow which services the debt. This arrangement also allows the owner to retain ownership of the property, while requiring minimal up-front costs, with zero tenant improvement expenses. Cash flow created by these locations would be “Termed Equity” and serve as contribution towards debt payments for the retail outlet owner. Such payments would be vested equity investments in the retail shopping center. This cash flow can be leveraged for the buyout of a shopping center that has high vacancy rates. Our current focus is to engage owners of distressed properties in direct negotiations. We believe that the condition of our national and global economies will present some of the most profitable investment opportunities ever achieved in retail real estate. These highly profitable opportunities will be capitalized upon by teams that can act swiftly in closing transactions. We possess extensive experience, supported by our diverse knowledge of properties throughout the country. 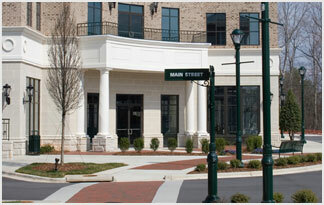 Miresco specializes in bridging available prime retail space with high traffic home furnishing tenants. We currently work with nationwide companies for short term occupancy leases and subleases. Miresco brings together Realty and Retail, in an arena which provides exceptional asset recovery for all parties. The benefit for the realty group or sublessor is immediate income from the property, high traffic influx to the center and no construction or build out (properties usually leased as is).The benefit for the retailer is no cash outlay for build out, significantly reduced lease or sublease rates, immediate move in and no long term commitment. Miresco bridges the retailer with the landlord nationwide.